In October 2017 I hosted @realsci_de for a week, a German twitter account (similar to @realscientists) aimed at presenting real science to the German-speaking Twittersphere. 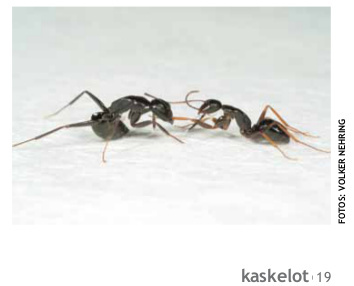 An article about social insect communication in a Danish magazine for biology teachers:Nehring V. (2011): Kommunikation hos sociale insekter. Kaskelot 187: 8-11. Friend or foe? Just follow your nose! de Roode, J.C.; Lefèvre, T. Behavioral Immunity in Insec ts. 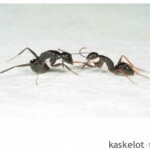 Insects 2012, 3, 789-820.
de Fine Licht, H. H. (2011): Elevaktivitet: Aggression hos myrer. Kaskelot 187: 18.